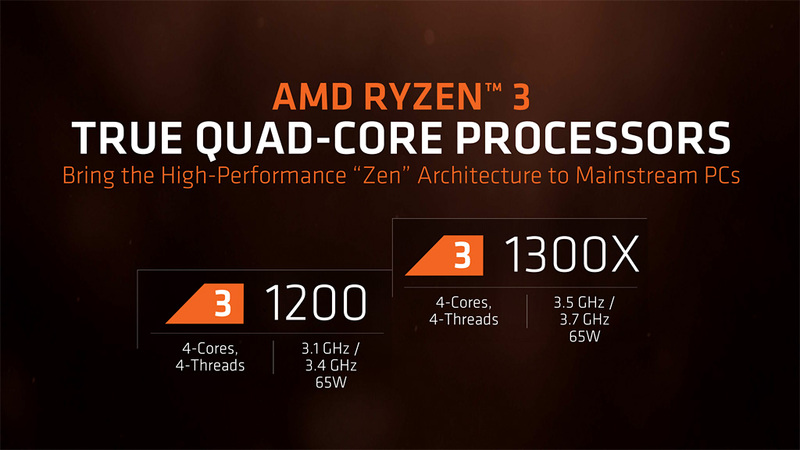 AMD has officially launched their Ryzen 3 series of quad core processors for the AM4 platform. The new processors are aimed at budget PC builders who want the best gaming performance and multitasking performance for under $150 US. 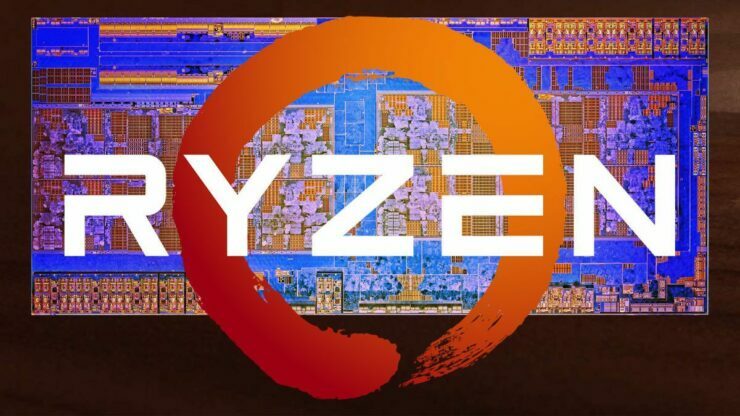 The AMD Ryzen 3 processor lineup will feature only two quad core processors. These are called the Ryzen 3 1300X and the Ryzen 3 1200. Both processors have four cores and four threads so we can tell that AMD decided to remove SMT from the new chips. AMD’s entry level Ryzen 5 processor, the Ryzen 5 1400 has SMT enabled but it costs much more at $165 US. The benefits of these processors will be to provide decent application and gaming performance to budget builders. They will also be competing against Intel’s Core i3 lineup which features dual core chips and at much higher prices. Both processors will utilize AMD’s Core Complex (CCX) design and utilize two of those models on each die with 2 cores disabled per CCX. This produces a die with 4 cores but multi-threading support would be disabled. 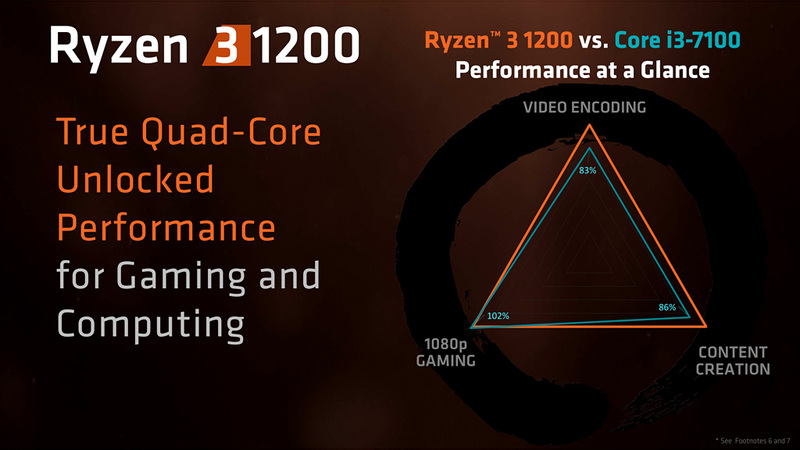 The AMD Ryzen 3 1300X is a quad core featuring four threads and is based on the same 14nm process as the other Ryzen processors. 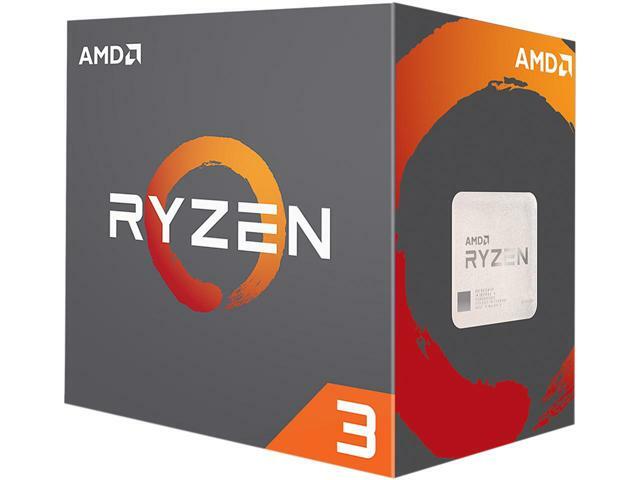 In terms of clock speeds, the Ryzen 3 1300X features a 3.5 GHz base and 3.7 GHz boost clock. We can expect further clocks with XFR (Extended Frequency Range) which is supported by this chip. In terms of cache, the chip features 8 MB of L3 which is half of that featured on the Ryzen 7 series processors. The processor will feature a TDP of just 65W which is lower than that of similar spec’d Intel offerings and also a much lower price point of $130 US which is great for the masses. 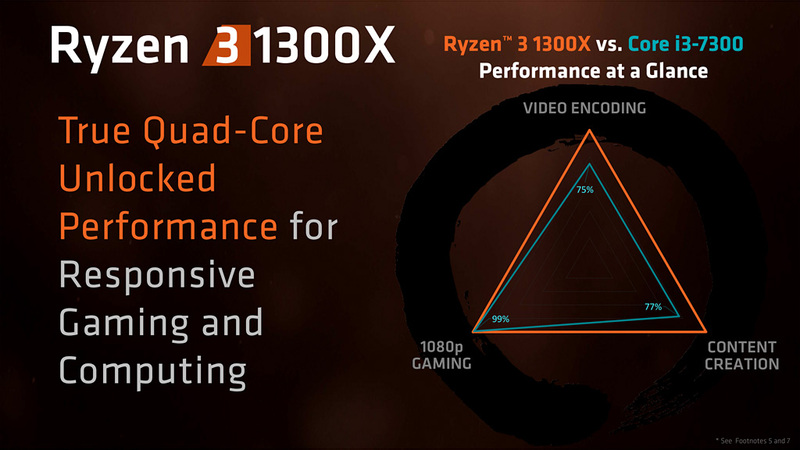 If you thought Ryzen 3 1300X is the budget king, wait till you see the Ryzen 3 1200. This $110 US chip is also a quad core with four threads. The clock speeds are maintained at 3.1 GHz base and 3.4 GHz boost. There’s no XFR support but both chips are unlocked, allowing users to manually tweak around the clock speeds for best stability and performance. The chip features a TDP of 65W and has 8 MB of L3 cache. 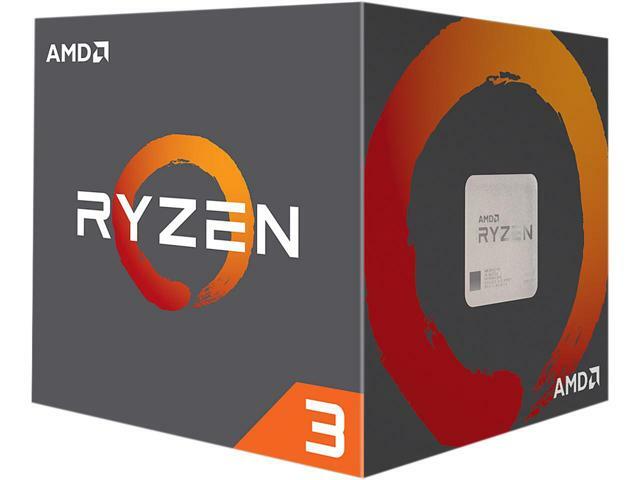 Being $20 US cheaper, the Ryzen 3 1200 can really shake things up in the $100 US market segment as it can be equipped with a less than $100 US AM4 board and still deliver all the benefits of the Ryzen architecture to users. 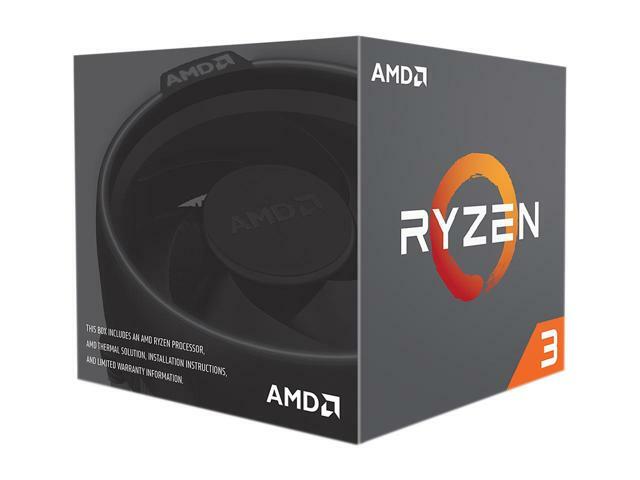 Availability for both AMD Ryzen 3 models begins today at etailers around the world. All AMD Ryzen 3, Ryzen 5 and Ryzen 7 processors support the AM4 infrastructure, with extensive motherboard designs in the market from all top ODMs, all built upon the following desktop chipsets for AMD Ryzen processors – the X370, B350 and the A320, the latter intended for mainstream PCs at new, consumer-friendly price points. 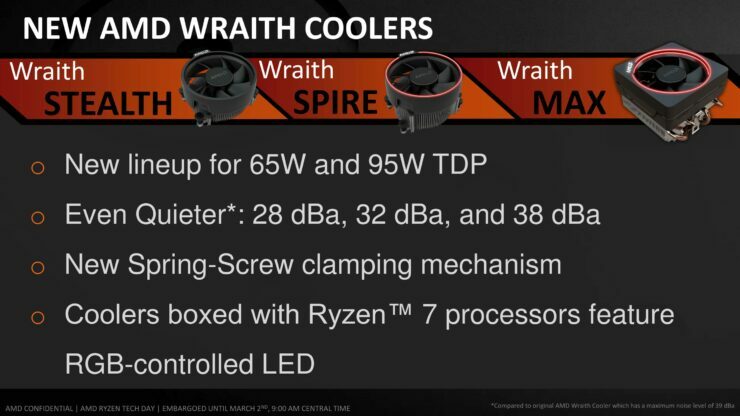 The AMD Ryzen 3 lineup also features the Wraith Stealth cooler, included with both the AMD Ryzen 1300X and Ryzen 1200. 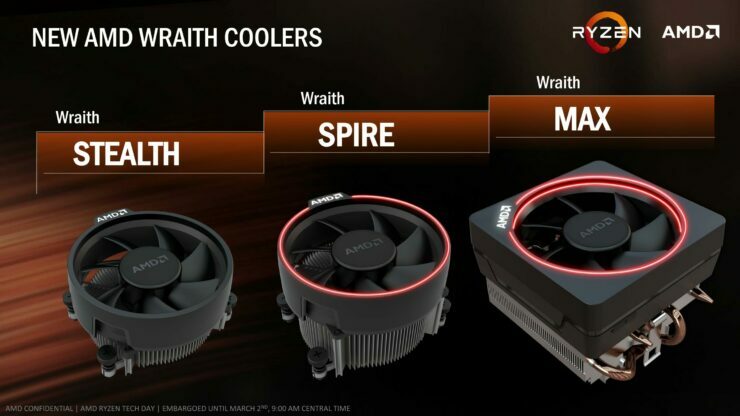 This capable AMD thermal solution is the quietest, lowest-profile option in the Wraith cooler lineup. 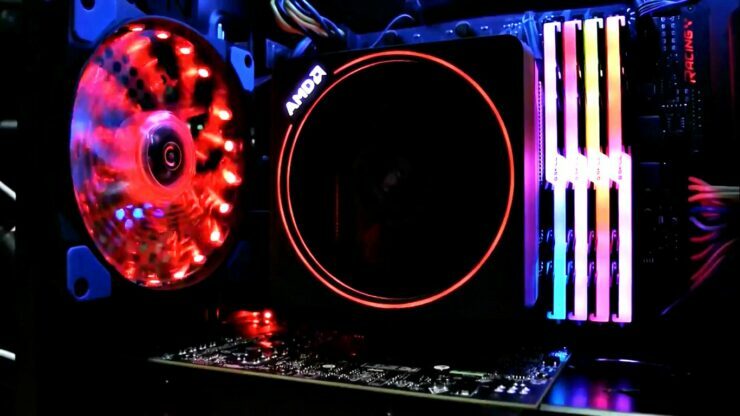 In addition, originally only available exclusively as a pre-installed thermal solution in select partner systems, AMD today also announced that its top-of-the-line Wraith Max cooler with RGB programmable LEDs is now available for individual sale for $59 SEP USD. 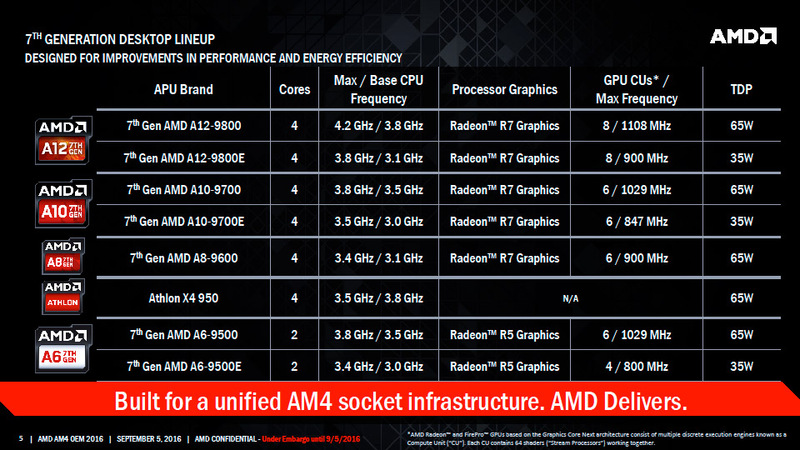 AMD also announced the worldwide release of the highly popular 7th Generation AMD A-Series desktop processor (codenamed ‘Bristol Ridge’) and the AMD Athlon™ X4 CPU for socket AM4, providing entry-level processor solutions for this advanced platform. Engineered to deliver a premium PC experience with superior unlocked performance and efficiency for entry level PCs. 7th Gen A-Series processors include Radeon graphics for impressive gaming and a quad core architecture for responsive computing. The introduction of 7th Gen A-series, Athlon X4, and Ryzen™ 3 processors completes the stable, mature socket AM4 ecosystem.